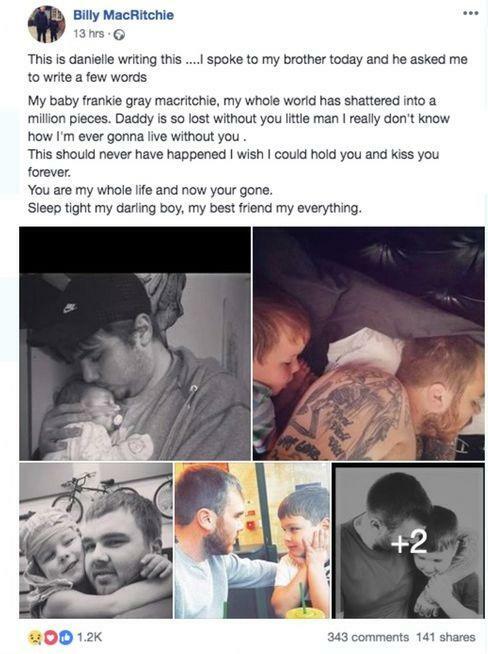 A message posted on behalf of Billy MacRitchie, father of Frankie MacRitchie, who died after being attacked by a dog at a holiday park in Looe, Cornwall, on Saturday. The father of a boy mauled to death by a dog has paid an emotional tribute to his son. Frankie MacRitchie died on Saturday after being attacked by a “bulldog-type breed" at Tencreek Holiday Park, in Looe, Cornwall. And now his “shattered” . 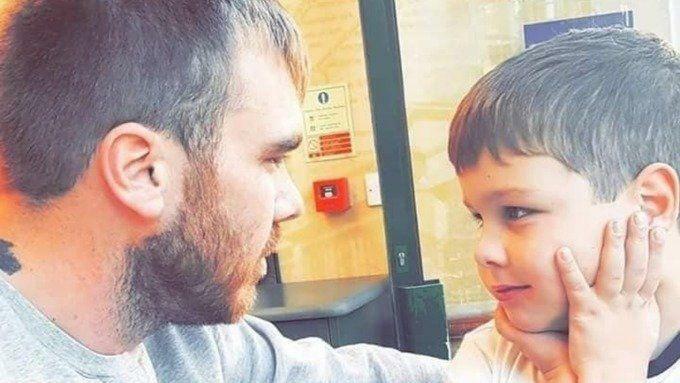 father Billy has paid tribute to his son in an emotional Facebook post, shared on his behalf by his sister Danielle. Mr MacRitchie, of Plymouth, shared a selection of pictures of him with his son dating back to when Frankie was a baby. In the post he said: “My baby Frankie Gray MacRitchie, my whole world has shattered into a million pieces. Daddy is so lost without you little man I really don't know how I'm ever gonna live without you. “This should never have happened I wish I could hold you and kiss you forever. “You are my whole life and now your gone. Relatives leave flowers at the entrance to Tencreek Holiday Park, Looe, Cornwall. Frankie Macritchie was killed by a dog in the early hours of Saturday morning. At the caravan park a number of floral tributes were left to Frankie. 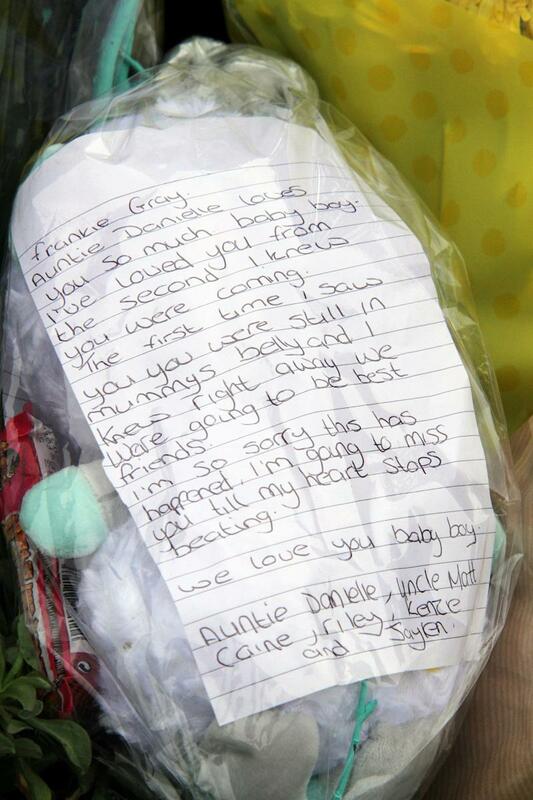 A cuddly toy left by his aunt Danielle said: “I’ve loved you from the second I knew you were coming. “The first time I saw you, you were still in mummys belly and I knew right away we were going to be best friends. “I’m so sorry this has happened, I’m going to miss you till my heart stops beating. 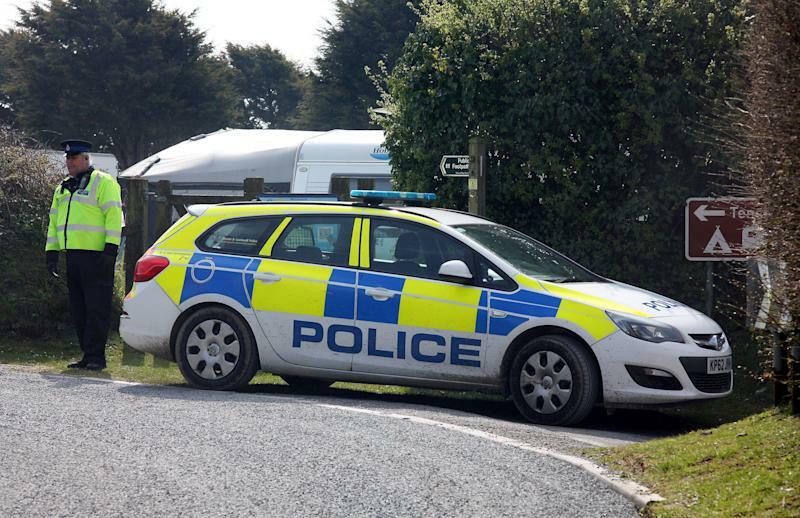 Police outside Tencreek Holiday Park, Looe, Cornwall where nine-year-old Frankie MacRitchie was mauled to death by a dog. "This is a desperately sad event which has seen a nine-year-old boy lose his life whilst on holiday; our thoughts and sympathies are with the loved ones of Frankie and all of those who knew him. 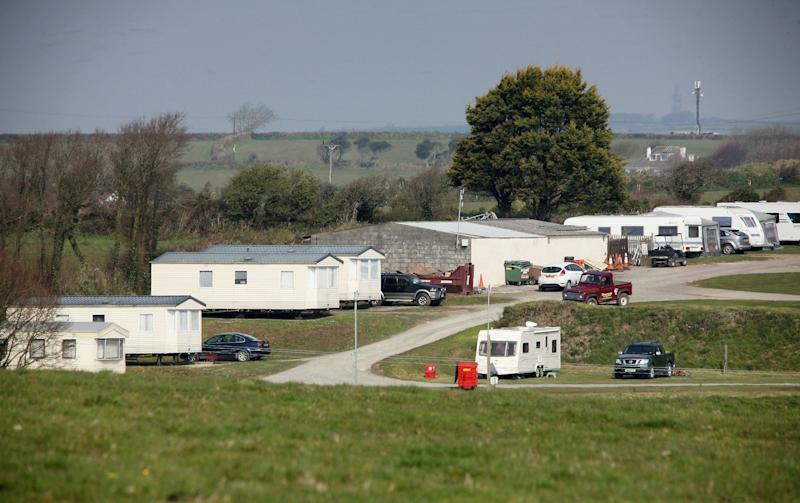 Tencreek Holiday Park, Looe, Cornwall where nine-year-old Frankie MacRitchie was mauled to death by a dog. "I also wish to recognise those who came to his aid at the scene; members of the public and emergency services staff who had to work in deeply upsetting conditions." Tencreek Holiday Park spokesman Henry Joce said on Saturday: "The park will remain open offering normal service. Whilst the investigation is under way, no further statements will be made."